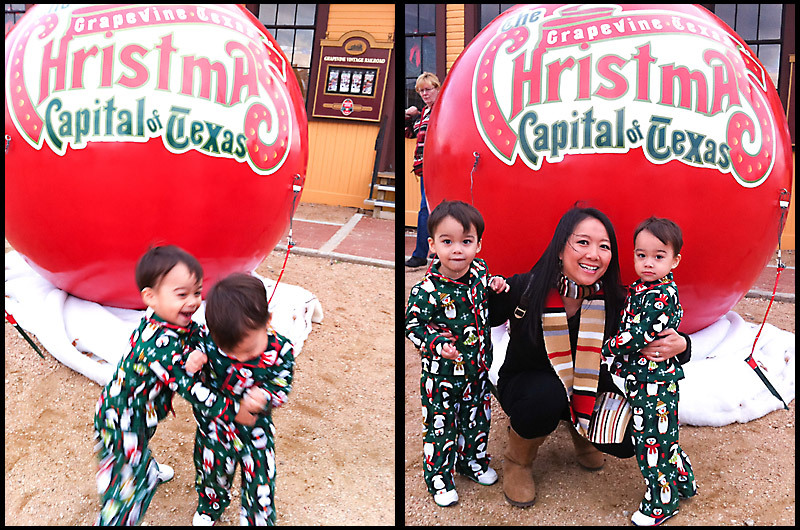 There were Christmas decorations every where, and this big ornament was so cute that we wanted to get a picture of the boys standing in front of it. 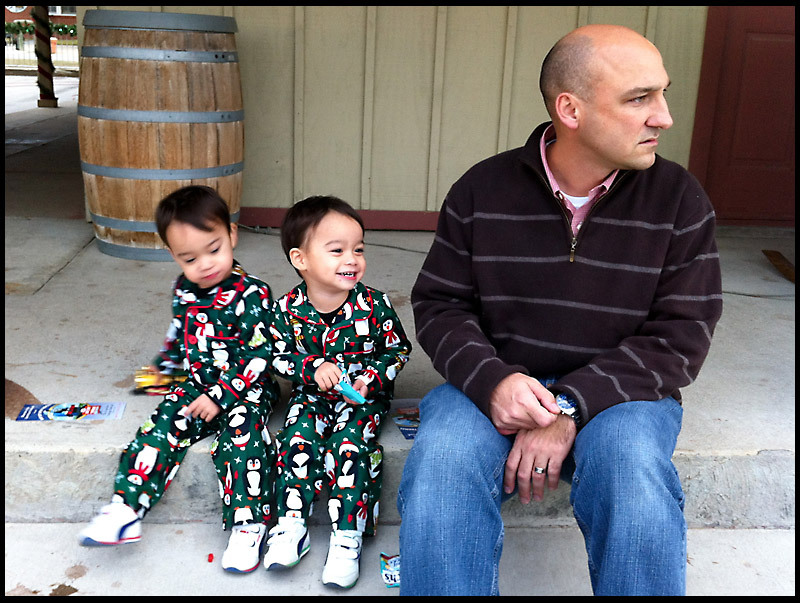 On the left was one of many failed attempts to get them to stand still. 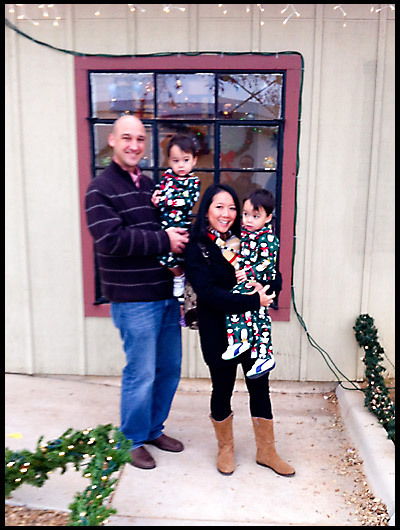 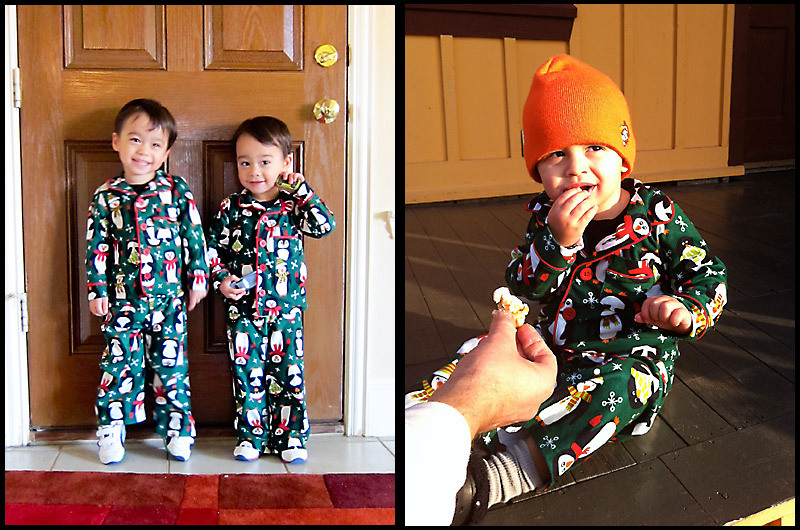 On the right, we figured out that the only way to get this picture is if mommy holds on to them tight. 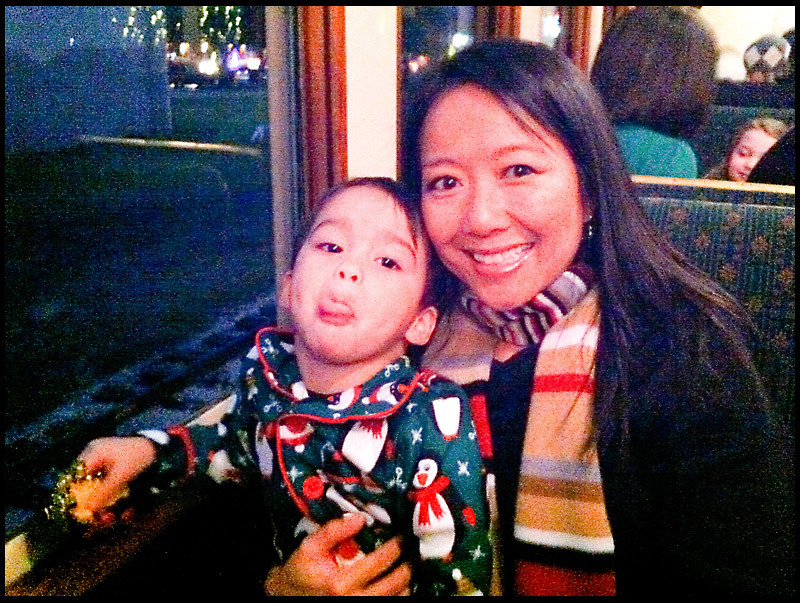 Mommy and Ben... this is what we got when daddy asked Ben to smile! 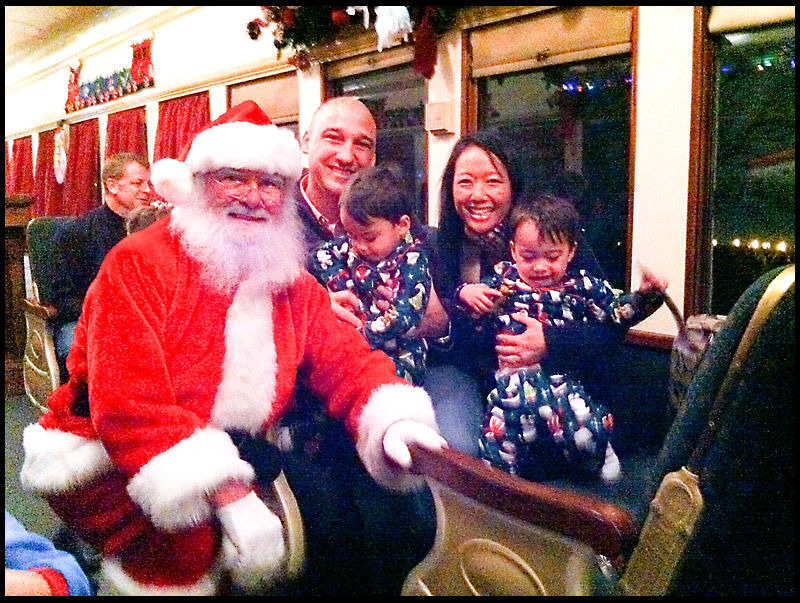 Finally, the moment came that we've all been waiting for... Santa's arrival! 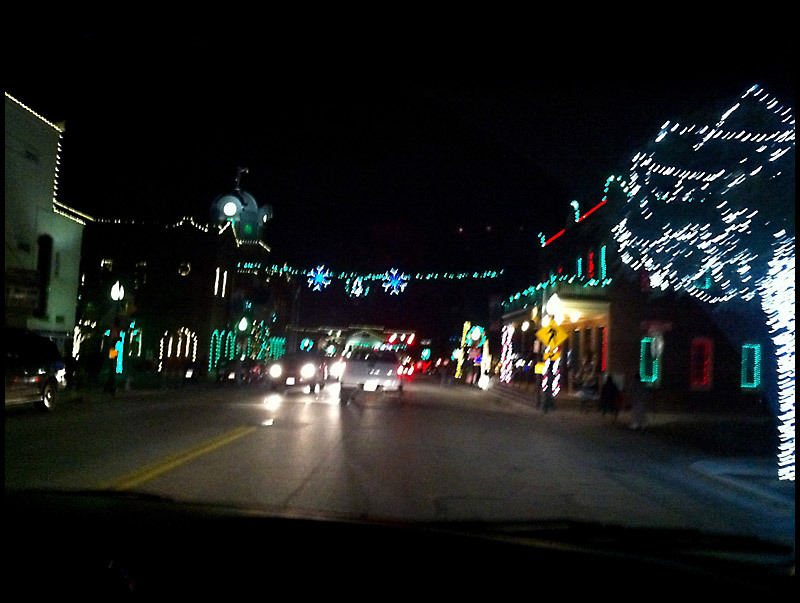 Downtown Grapevine was decorated so nicely for the holidays, and the boys enjoyed seeing all the lights on the ride home. 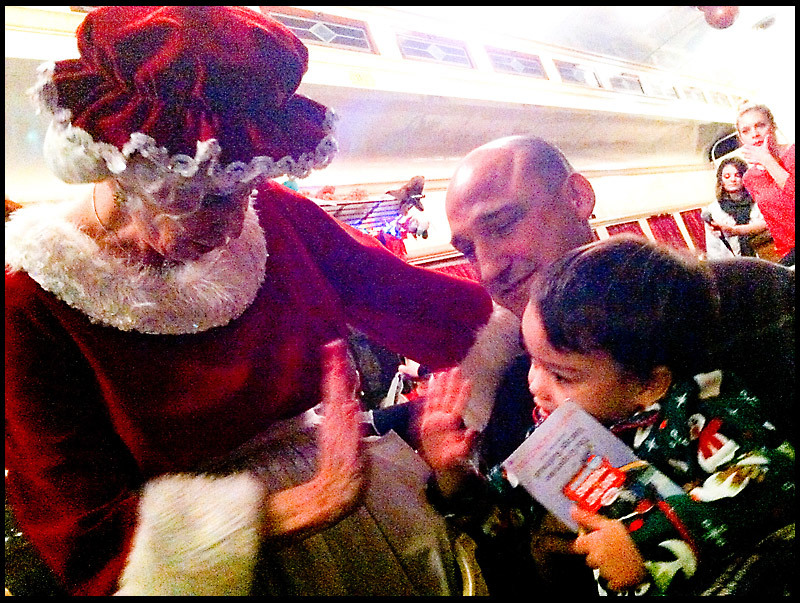 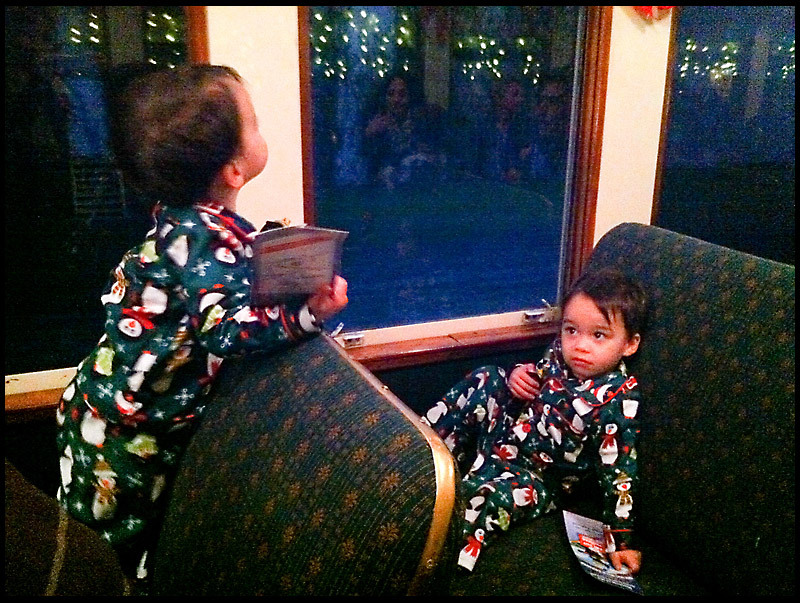 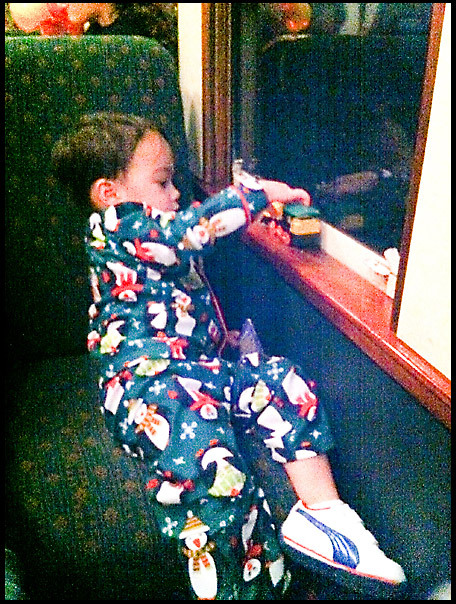 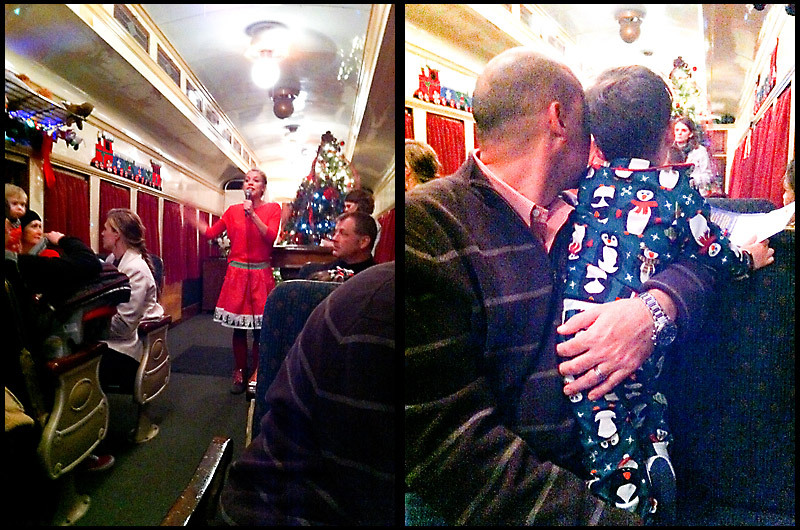 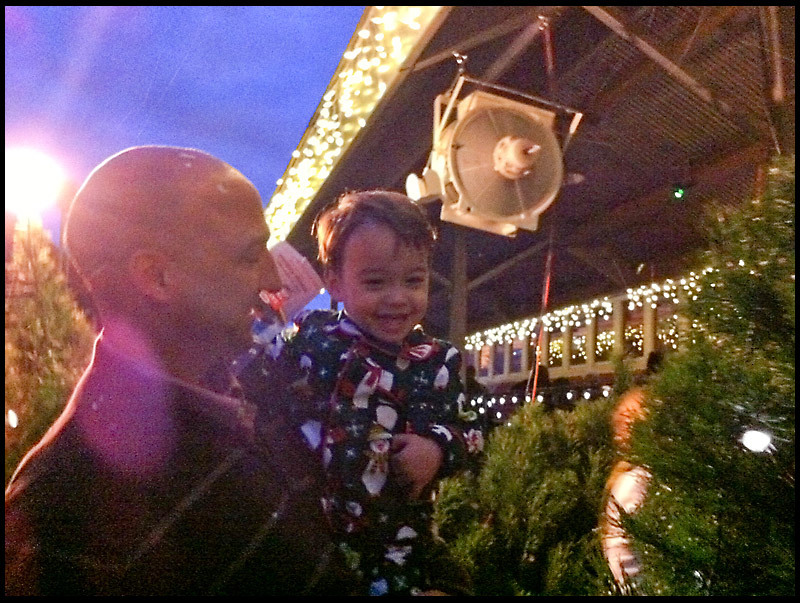 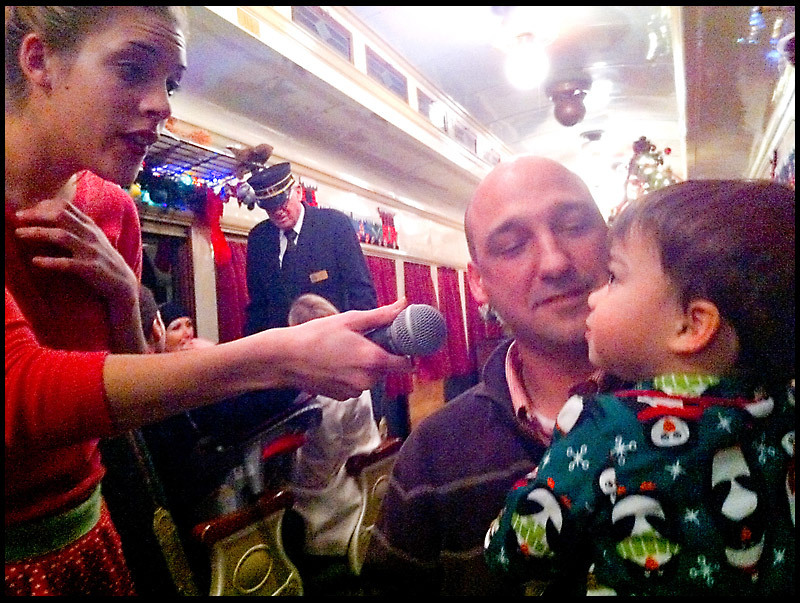 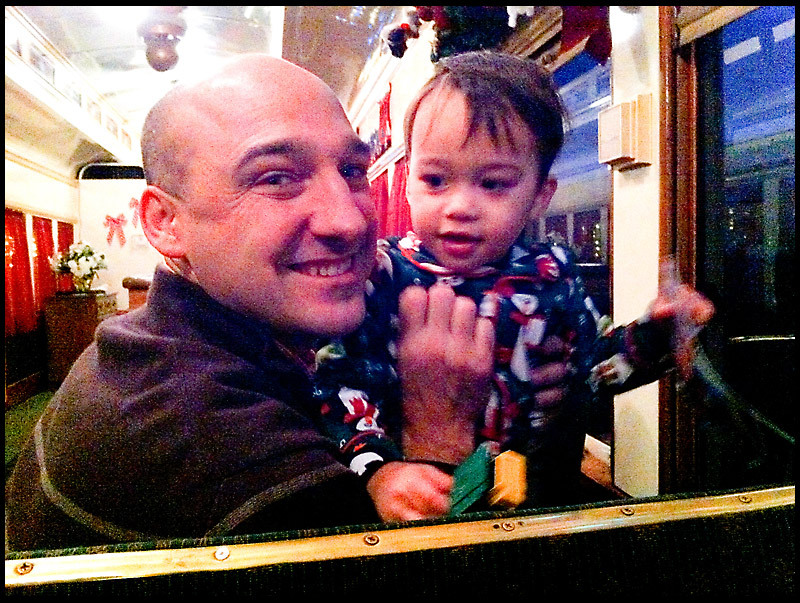 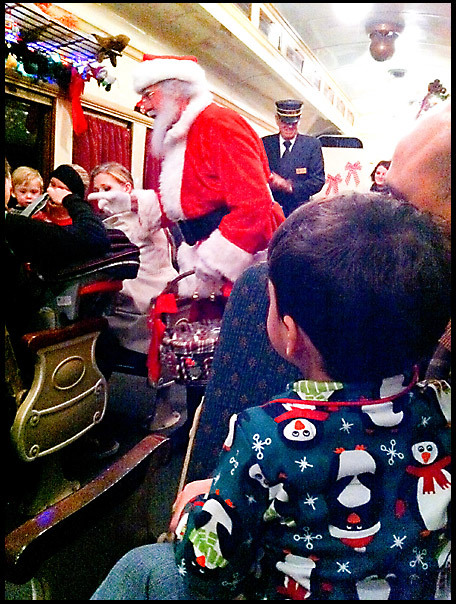 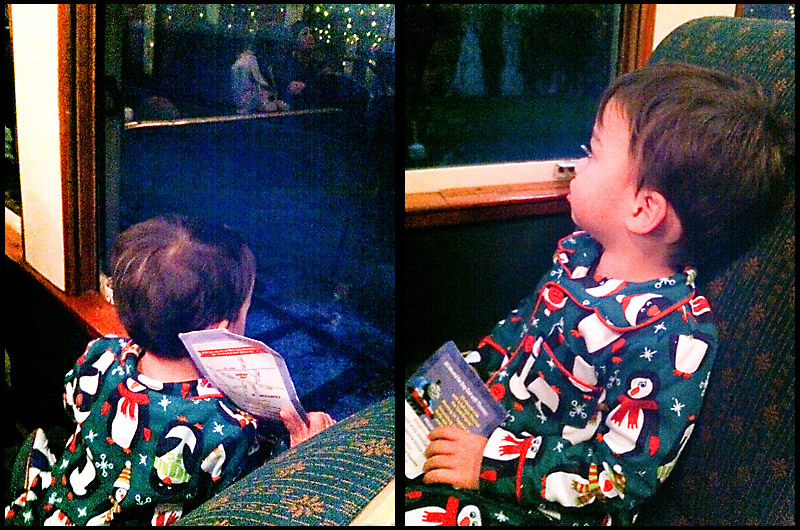 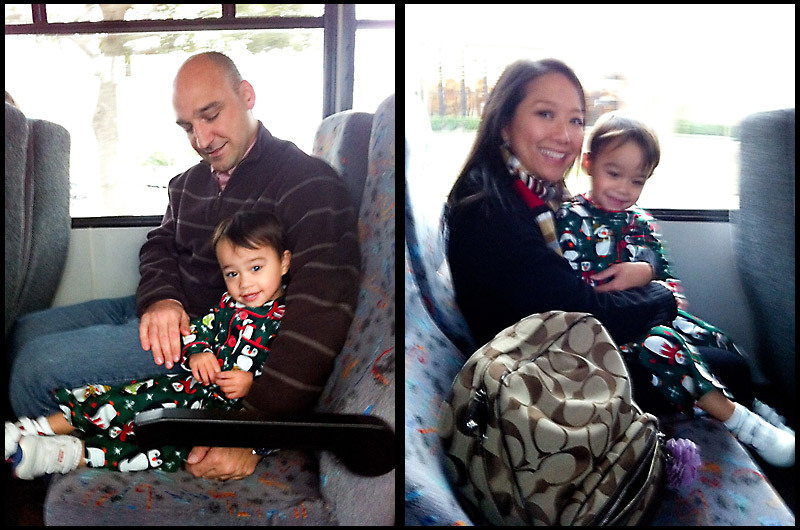 We hope to take the boys on the Polar Express again next year!